Much has changed since 1912 when it comes to Detroit; Automobiles, technology, worker’s rights, etc. Even now in 2012 we are still evolving to become safer and more efficient. How has your job changed over the years? Circa 1912. 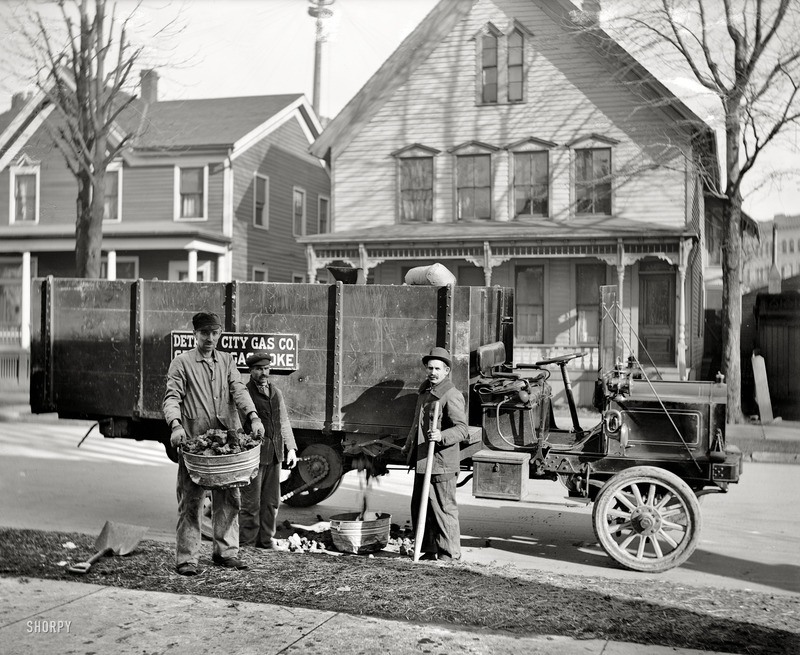 “Coke delivery wagon and workers, Detroit City Gas Company.” 8×10 inch dry plate glass negative, Detroit Publishing Company. This entry was posted in Detroit, Shorpy Saturday and tagged 1912, auto, coal, detroit, detroit city gas, detroit publishing company, ford, shorpy, store, woodward, workers. Bookmark the permalink. I was wondering how I can get any details on this photo? Is there anything written on the back? 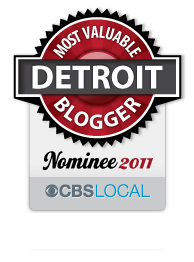 My grandfather Leopold Dziedziula worked for the Detroit Gas Company. We have no photos of him. The fellow in the front holding the bucket looks exactly like his son! Any help appreciated.